Joint aches affect tens of millions of people all over the world. In America alone, approximately 27 million people deal with joint pain on a daily basis. Aging is normally the biggest reason for joint aches but other reasons can include arthritis, osteoarthritis, sports related injuries and other issues. There’s nothing worse than dealing with pain which makes it hard for people to perform even the most menial tasks. There are no miracle cures but there are ways to prevent or slow down the deterioration of the human body. 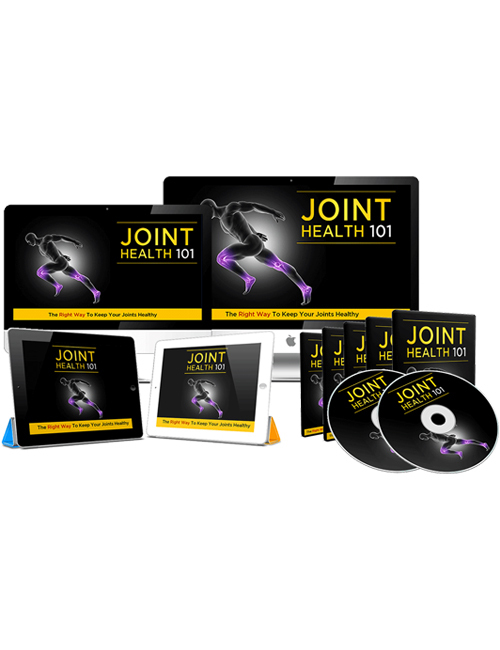 In this video series which also includes the Joint Health 101 ebook, you will learn about various ways to reduce the anguish and discomfort of joint pain. You’ll learn about various joint problems people face, home remedies, how to improve your lifestyle, how to gain back some of your youth and feel stronger and much more. The likelihood that everyone at some point or another will experience joint pain is almost inevitable but there are ways to handle this issue if you take the appropriate measures. Much of it comes down to diet and exercise which is helpful in keeping your body young and strong even into old age. These videos will give you a clear outlook on how to make the best of the worst when it comes to dealing with Father Time and the many other factors that cause us to break down. Grab this download now. Package includes a professional sales-letter and ready-to-go sales materials.